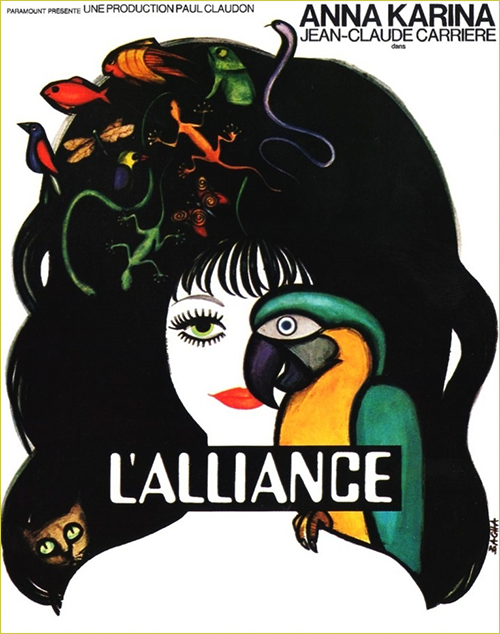 I just watched L'Alliance, a French film from 1971 starring Anna Karina. Initially I wasn't planning on writing anything about it, I only wanted to share this one screenshot that I took. I liked the dialogue, Anna Karina's face is always cool, and the screenshot itself seemed like one of those movie moments that could easily become a "this scene just GETS ME" screencap that I turn into my facebook cover photo. But then I was talking to my dad about the movie and the more I explained the plot the more I realized I actually really liked it and maybe I had more to say than I originally thought. 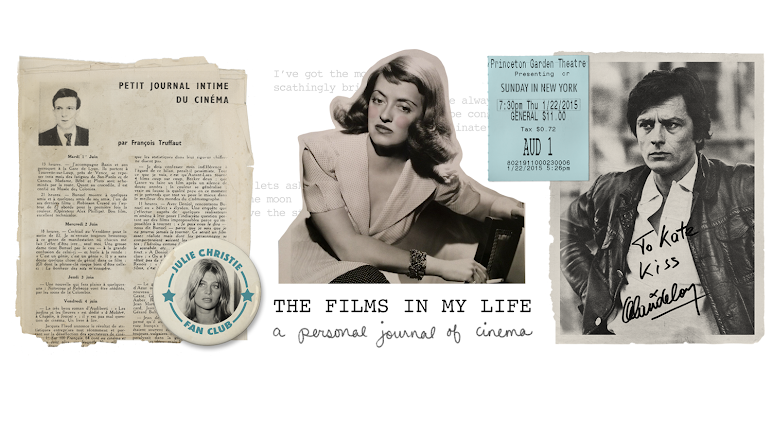 Maybe the movie meant more to me than social networking wallpaper. The film begins with a marriage broker trying to find a wife for a peculiar man, played by Jean-Claude Carrière, who seems way more interested in his future wife's real estate holdings than her personality or appearance. She can be dull or exciting, blonde or brunette, but if she doesn't have a closet (or at least a closed off extra room) then he's looking elsewhere. 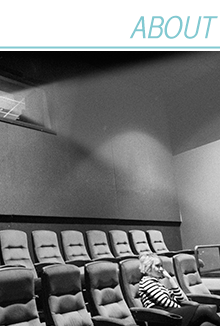 In Anna Karina he finally finds the square footage he's been waiting for. They marry immediately. They seem sort of happy at first. Her new husband is really preoccupied with insects on their honeymoon, but that's to be expected of any newlywed, right? Once they get back to the enormous apartment, he starts setting up his Veterinary practice and obsessing over a locked closet that houses a bunch of old junk, a fishing pole, and some very large slippers. He becomes tormented by those slippers, constantly trying to figure out whose large feet once slipped inside of them. They have dinner guests and he literally puts his foot next to the man's shoe to see if it's the right size. What even. He starts recording verbal diary entries documenting his wife's every move (she goes shopping every day but she never buys anything? What is she hiding??) and, of course, the case of the very large slippers. Meanwhile the house is becoming a miniature zoo with monkeys, birds, lizards and rodents taking up every square inch of the sizable apartment. The maid is growing concerned that the animals are going to attack her somehow, they seem to be getting more and more agitated by the day. The animals make for a really awesome backdrop to this psychological thriller. The still silence that is the hallmark of any nighttime scene in this genre is punctuated by creepy bird calls or the sounds of little claws clanging on cages. The movie is very Gaslight, if both parties were Charles Boyer and Ingrid Bergman. I mean, they both seem like they're driving each other insane AND they both seem like they're going insane. It's ridiculously well done and super eerie. And **SPOILER ALERT** it is actually building up to an ending that has literally NOTHING to do with the drama that preceded it. But I think that's the point. **SERIOUSLY I AM TOTALLY SPOILING THE ENDING NOW SO READ AT YOUR OWN RISK** The film ends with the animals going absolutely haywire. The maid finally quits, sure that the animals are about to form a revolt, and Anna Karina runs to her husband to find out what's going on. I was positive that there was going to be some kind of off the wall kooky explanation - he was actually an alien, or the animals were aliens, or he had devised some kind of serum from insect blood that would make animals into his slaves, maybe? - but the animals are actually sensing something cataclysmic is about to happen. Husband and wife share their first and only moment of trust, they embrace, and an atomic bomb wipes out civilization. Bugs crawl away from the debris, the only survivors of man's holocaust. *STILL SPOILERS* In retrospect, the ending was foreshadowed a few times in the movie. During their honeymoon she remarks that her father used to kick anthills and then laugh at all the ants scrambling around their broken home. She always wondered if there was someone out there waiting to kick us, and laugh as our own world fell to pieces. Later on, a scientist comes to visit and explains that humans will likely be wiped out soon and that the only creature to survive atomic blasts are insects. All in all, I think it was a very interesting, thought provoking movie that I'll probably have on my mind for quite a while. It's also beautifully filmed and Anna Karina and Jean-Claude Carrière are excellent in their strange, compelling and complex roles. I had a hard time finding a copy but if you can get your hands on one I'd definitely recommend it. 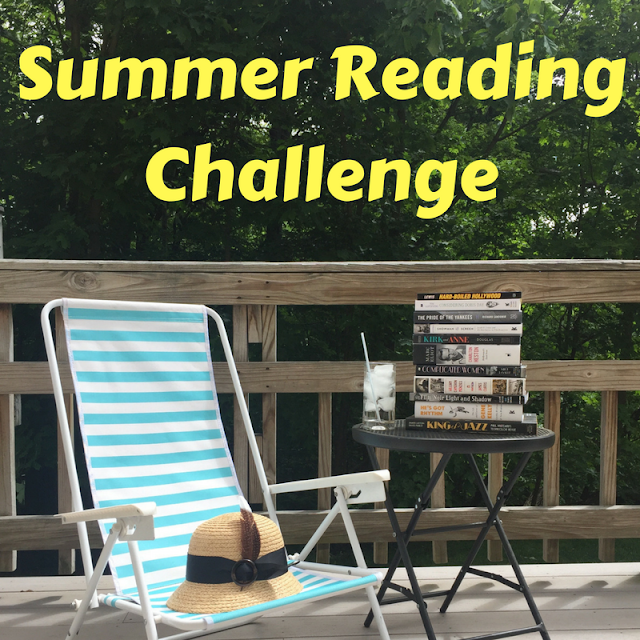 Just be prepared (if you avoided my spoilers) that it's not a conventional thriller. 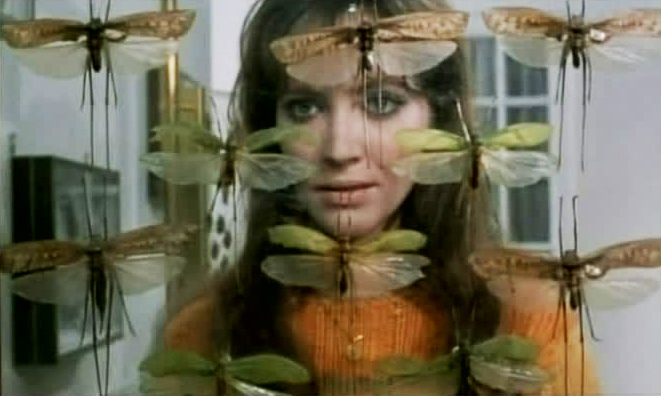 Anna Karina's character often came home from shopping trips empty-handed. I cannot relate. 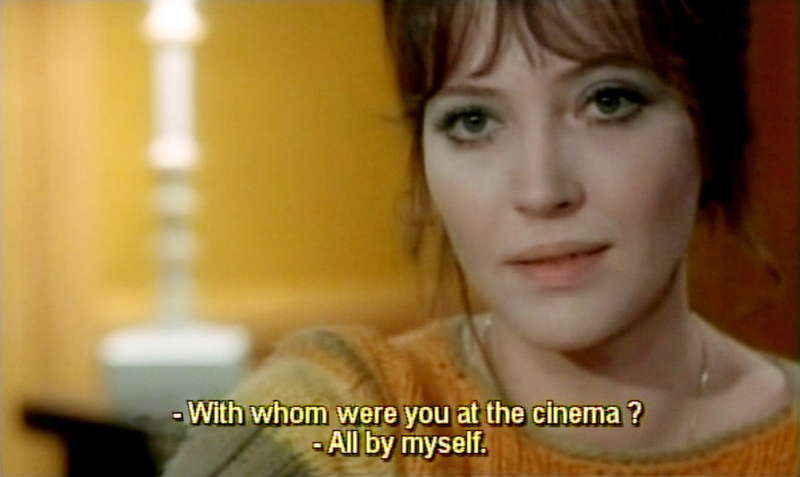 Anna Karina's character went to the cinema alone. She is my spirit animal.